The Gilas Pilipinas was defeated by the Palestine national basketball team in their first game at the FIBA Asia 2015 in China today September 23, 2015. The Gilas Pilipinas who started very well in the first half was seems like very confident thats why they lost the game. Palestine got the 2rd quarter and the 2nd half and earned they win with 75-73. Palestine who also have a problem in height maintain their confident with good game-play and communications with the team. 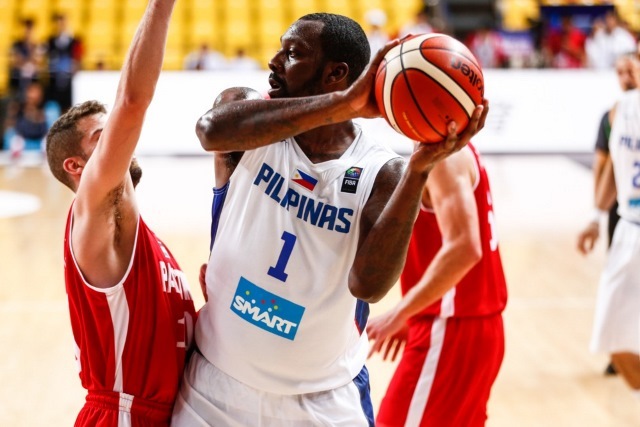 Blatche led the Philippine teams with 21 points, Romeo Added 11 points and Castro with 10. While the Palestine Abu Shamala led his team with 26 big points with 15 rebounds. Gilas will play against the Hongkong team tomorrow September 24, 2015. Watch it love on TV5 at 9:30 am.